The Thomas Society | Question Everything. Attie Award Hall of Fame…. …testing, one two, testing one two…. Yes, Hi. How are you? Big Annoucement…. The Thomas Society is coming back. All of it. The Atties. Culture commentary. Stupid Church crap. Stupid atheist crap. Crap in general. You know, all the stuff we do so well…….. I just got a guest blogging invitation over at Huffington Post. It’s possible it will result in more. if it does, I might move The Thomas Society over there….what say you? Well, two months ago, I had these big plans for The Thomas Society blog and it’s revamp. They were good plans. Solid Plans. Amazing plans. But, circumstances have moved faster than I ever could have imagined. The Faithful has been getting out into the world, slowly and surely. The starred review in the Library Journal caused a huge explosion in December. Along with that, I started writing for TAPS Paranormal magazine on the Horror genre and the need for critical thought. But, believe it or not, things have gotten even bigger. I have just written a screenplay for a major Hollywood film. I can’t give any details as of yet, but trust me, it’s gonna be huge. Second, I also have some Hollywood producers seriously discussing making The Faithful into a movie. And, as you can guess, I’m writing the screenplay as we speak. Finally, a new magazine called Intrepid Magazine has asked me to be one of their contributing writers. This is a very interesting magazine. It’s going to have articles on politics, science, culture, religion, paranormal, you name it. My area will be culture/religion as you might guess. The first issue comes out March 1st and I have an article in that issue called “Dialogue, Not Debate”. I’ll also have a blog on the website that will basically take the place of my presence here. I have loved The Thomas Society blog. We have had some great discussion. I’ll leave the blog up for anyone who wants to research any discussion we have had here. Be assured that the principles we tried to embody will live on…. Problems with the Scientific Method…. Here is an article that appeared in the New Yorker. It’s better to receive than to give…..
My favorite Christmas special is the Charlie Brown Christmas special. I really can’t think of a more perfect Christmas cartoon. First, you have the Peanut characters, which are a part of the best comic strip ever. You have Charlie Brown trying to figure out the meaning of Christmas. Linus’ speech always brings to tear to my eyes. Still, I can’t help but wonder about Charlie Brown’s crusade. You get the sense from him that he feels he is a bit more “righteous” than everyone else. He thinks that he is superior to his dog and his friends because he wants to find the “true meaning” of Christmas. This is why Linus’ speech is so brilliant. Linus doesn’t rebuke his friends for their celebrating of Christmas nor does he rebuke Charlie Brown for his questions. Instead, he tells the simple story of God’s wildly extravegent gift of His only Son, born in a manger. God gave wildly, truly and magnificently. As he tells this story, essentially he is redefining Charlie Brown’s legalism and his friends rampant materialism. Linus tell us celebrate, by all means, but celebrate with gratitude and grace. I have often wondered what their parents think when they come to the house and don’t see the gift they gave in love. It makes me realize how even good intentions lead to a wrong view about Christmas. I’m not saying we should encourage rampant materialism or unrestrained consumption. What I am saying is that we learn the gift of receiving. We need to learn to celebrate a little more, especially in these troubling times. Too often, we let our scruples take over grace towards other people. There are many times in my own life where I have hurt people because of my own blatant self righteousness when it comes to gifts. In those times, I have to remind myself how wildly unrestrained God was when he gave me His Son. God never hold back from giving. I also know how difficult is for me to accept that gift. I try to negotiate it. I try to make palatable to my pride. Then I remember, it’s not possible. I’ll never deserve such a gift. It’s been freely given. All I have to do is accept it.I need to learn to celebrate with food, gifts and family to express my gratitude towards God for His unending love. So, this Christmas, I challenge everyone to be gracious and accept the gifts people give to you. Don’t be a self righteous kill joy by lecturing people about how their money could have been spent instead of spending it on your sorry behind. Get over yourself. If you want to give of yourself and things at Christmas, then please, do so, I think its great. Just remember what Jesus said about giving in secret. 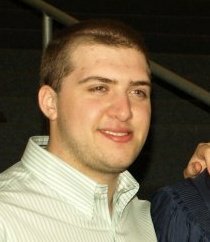 Here is another one of our editors for The Thomas Society, Mike Brownstein. He is an atheist and will take over our atheist Mondays. He will have complete control over that day. Cheers! Announcing The first Two Editors of The Thomas Society…. Matthew is a native of Hudson, Ohio, and a philosophy professor at Auburn University’s Montgomery (Alabama) campus, where he has taught since May 2010. He holds degrees in philosophy from Ohio University (B.A. ’99), Talbot School of Theology (M.A. ’03), and The Ohio State University (Ph.D. ’09). His teaching and research generally focus on religious and moral questions, and his scholarly work has appeared in The Journal of Medicine and Philosophy, Philo, and Religious Studies. Matt has been happily married to his wife Jen, with whom he has five children, since 1999. He serves on the ethics committee at Baptist Medical Center South, coaches pee-wee basketball, and loves Cleveland sports, single malt scotch, and C. S. Lewis. He also likes to cook. Jonathan is part gypsy, having lived in six states. He is the staff director for the CCO in the state of Ohio. He has a BA in history from Covenant College and a Masters of Divinity (with honors) from Covenant Theological Seminary. His first novel, The Faithful has been published to critical acclaim and is currently shopping a book about his time hanging out with atheists. Jonathan is also a editorial contributor to TAPS paranormal magazine on religious issues and the paranormal. 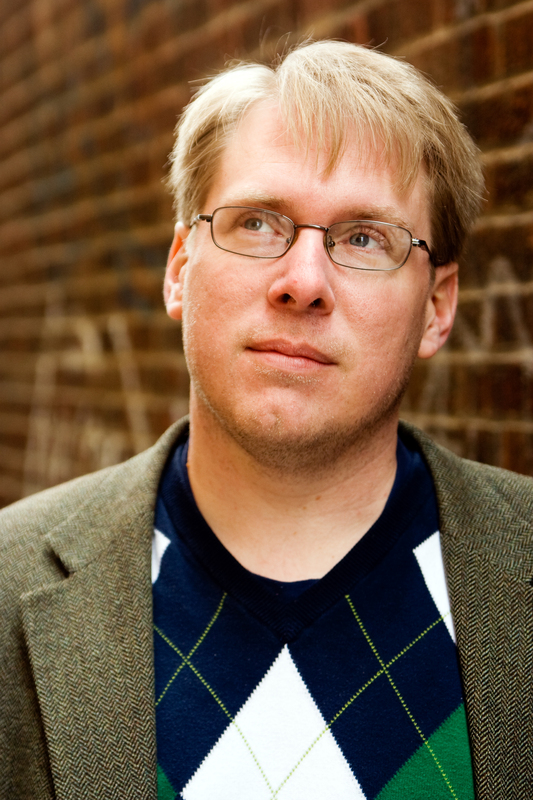 His work with the atheists won a multicultural award from The Ohio State University in 2008. He loves St. Louis sports teams, the Buckeyes, Coen Brother films and Stephen King. Jonathan lives in Columbus, Ohio with wife, three kids and a crazy cat. Tomato Addict on The Thomas Society-Redux?? Kels on The Thomas Society-Redux? ?